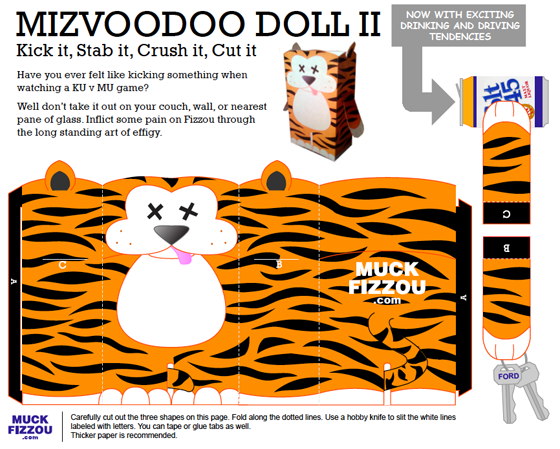 Another Border War football game means another edition of the Mizzvoodoo Doll. Just download the pdf, print, cut and fold. Now you are ready to impact pain through the ancient art of voodoo.